Silver Water marketer busted by Health CanadaBased on a number of complaints by HealthWatcher.net the supply of Silver Water being sold by Petrolia Magnetic Health was temporarily flushed. We understand that a well-known quack is still at it, but this time he relabeled the junk as "mineral water". What games these folks play at the expense of our health. U.S. based shipments are still coming in labeled as "homeopathic" colloidal silver. These folks won't quit! When an internationally known medical columnist started to promote Imedeen earlier this year as a cure for wrinkles, we took notice and complained to the College of Physicians. A few months later, the doctor touted something called Microhydrin, which is a mixture of minerals that is supposed to be the fountain of youth, the cure for chronic diseases and more. Why did he give out the toll-free telephone orders for both products in his column? If Pfizer or Roche released a new drug, would he give out the phone number to the wholesale drug warehouse to his readers? The internet, and my mailbox has been overflowing with the Essence of Joel. This large animal doctor and naturopath, so he claims, leads the world in perhaps the number one nutritional scam on the face of this mineral laden planet. Below you will find the quintessential links to the most curious health claims that I have ever heard. The problem with them is that even doctors might believe them, the FTC has ignored them, and the FDA can't do a damn thing about them. One Woman's Tale Has No Silver Lining"ASK ME WHY I'm gray." It's an invitation not usually seen on a T-shirt, and one that is as arresting as the petite 57-year-old woman wearing it at a recent conference. Rosemary Jacobs has been gray-her skin ranges from the color of a filing cabinet to a kind of dove gray-for more than 40 years. Colloidal Mineral Supplements: Unnecessary and Potentially Hazardous Ten of thousands of Americans are currently serving as unwitting subjects in an undocumented test of their safety. Some scientists are especially concerned about the widespread administration of these products to children. Unfortunately, since colloidal minerals are classified as dietary supplements, no safety or efficacy testing was required before they were marketed. Action to prohibit their sale can only be taken if it is demonstrated that the products are adulterated (i.e., toxic), misbranded, or that specific medical treatment claims have been made for them. Colloidal Silver: Risk Without Benefit Stephen BarrettIn October 1996, the FDA proposed to ban the use of colloidal silver or silver salts in over-the-counter products. A Final Rule banning such use was issued on August 17, 1999 and became effective September 16th. The rule applies to any nonprescription colloidal silver or silver salt product claimed to be effective in preventing or treating any disease. Silver products can still be sold as "dietary supplements" provided that no health claims are made for them. Wallach is a complete fraud and anyone that believes in his drivel (particularly concerning colloidal minerals) is either ignorant or a deceptive cheat. Dr. Wallach was just discussed on another NG. He's a veterinarian turned health freak guru and has no clue what he's talking about. He was never nominated for a Nobel prize! He's looking to make a killing selling minerals to the ill informed. Nothing more. Wallach is a total and utter quack. He is an ND, and a veteranarian. He is not licensed to perform human medical autopsies, as he claims. He was 'nominated for the nobel prize' by a group of quacks (ND's) who simply sent his name in the mail to the Nobel Commitee. Anyone can nominate anyone for a Nobel Prize. If you want trace minerals in your diet, don't consume acidified dirt. Use evaporated sea salt, containing natural forms of all trace minerals in their natural form. Makes your food taste better too. I still maintain, on good prima facie evidence, that Wallach is a quack radio show host who makes a killing with an MLM scam by pretending to be a physician. Gullible people like Kottlove believe him, and send him money. HEALTH FRAUD ALERT: These Tapes Don't Tell Little Lies! So what does Joel Wallach have to say about CF? Dead docs live how long? - "Dead Doctors Don't Lie" - A critique by Steve Cherniske, M.S. Need A Cure for Your Pig's Alzheimers? - In recent months, Joel Wallach has delivered two series of "free seminars" in my neck of the woods. One of his newspaper advertisements caught my attention because, in it, he claimed to have discovered "a cure for Alzheimer's disease in pigs." I found this curious, because -- being a veterinarian myself, I was pretty certain pigs didn't GET Alzheimer's. Since this and many other claims in his promotional literature seemed clearly preposterous to me, I decided to check them -- and him -- out. It was quite an entertaining and illuminating process. I ended up writing and placing phone calls all over the US and even as far afield as Sweden. DOC'S COLLOIDAL MINERAL ROCKS - this one comes from a mine in Utah. HEALTH FRAUD ALERT: These Tapes Don't Tell Little Lies! - Dr. Wallach cites no legitimate studies or recognized statistics as support for this incredible assertion on his tapes. He does indicate that his hobby is collecting doctor's obituaries and recording their age at death. This is not, by any definition, a scientific study of life expectancy. Dead docs tell tall tales? - The basic danger of Dr. Wallach is not that people will be harmed by taking colloidal minerals, or even that many people will be wasting their money on a product they do not need. Many of his claims are not backed up with scientific control studies, but are anecdotal or fictional. Because he and other naturopaths exaggerate the role of minerals in good health, he may be totally ignored by the scientific community even if the naturopaths happen to hit upon some real connections between minerals and disease. Furthermore, there is the chance that legitimate scientific researchers may avoid this field for fear of being labelled a kook. You may have heard of something called "colloidal minerals" (microscopic mineral particles suspended in a liquid) either from a friend who's taking them or from someone who wants to sell them to you. Despite a label listing a frightening-sounding array of ingredients -- lead, cadmium, arsenic, cesium, strontium and other potentially toxic substances -- health food stores in major cities across the country report that these liquid "health tonics," at $30 to $50 a bottle, are among their best sellers. Late March, 2001 was a significant time in the battle against colloidal silver claims. The FDA made public four letters that it sent during March to Internet distributors of colloidal silver. The new letters bring the total for the year to nearly 20. Click here for list of latest FDA .pdf files. Scroll down to colloidal silver section for 2001. The Cyber Letters are similar. First FTC complaint - FTC vs. New Vision International. They targeted children with ADD (Attention Deficit Disorder) "God's Recipe" may be a bit of devil's work, eh? - The company has advertised, promoted, offered for sale, sold, and distributed various nutritional supplements, including: (a) "PC Grape Seed Extract with an Herbal Blend;" (b) "Essential Minerals;" and (c) "Multi-Enzymes with Alfalfa/Barley Sprouts." In some of his promotional materials, respondent collectively referred to these products as "God's Recipe," and touted them as a natural alternative to the prescription drug Ritalin for children suffering from Attention Deficit Disorder or Attention Deficit/Hyperactivity Disorder ("ADD/ADHD"). These products are "'foods’ and/or ?drugs'," within the meaning of Sections 12 and 15 of the Federal Trade Commission Act. FTC individual consent order against Max James. C. Such products are an effective alternative treatment to the prescription drug Ritalin for Attention Deficit Disorder and Attention Deficit Hyperactivity Disorder; unless, at the time the representation is made, respondent possesses and relies upon competent and reliable scientific evidence that substantiates the representation. FDA's Final Rule against colloidal silver - The FDA has issued a Final Rule declaring that all over- the-counter (OTC) drug products containing colloidal silver or silver salts are not recognized as safe and effective and are misbranded. SUMMARY: The Food and Drug Administration (FDA) is issuing a final rule establishing that all over-the-counter (OTC) drug products containing colloidal silver ingredients or silver salts for internal or external use are not generally recognized as safe and effective and are misbranded. FDA is issuing this final rule because many OTC drug products containing colloidal silver ingredients or silver salts are being marketed for numerous serious disease conditions and FDA is not aware of any substantial scientific evidence that supports the use of OTC colloidal silver ingredients or silver salts for these disease conditions. 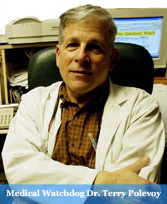 National Council Against Health Fraud point of view - Wallach is "bizarre caricature of a quack," says John H. Renner, M.D., a director of the National Council Against Health Fraud. In fact, notes Dr. Renner, Dead Doctors Don't Lie is riddled with distortions, bogus science and lies.